Simon & Schuster Books for Young Readers, 9781442433380, 224pp. 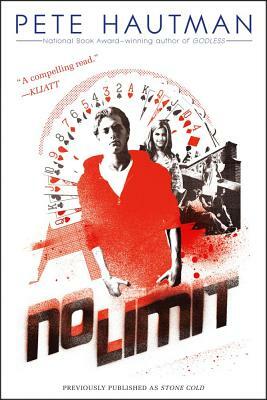 A teen develops a gambling addiction in this risk-heavy read—in trade paperback for the first time. Sixteen-year-old Denn Doyle’s troubles begin with a seemingly harmless—and extremely profitable—game of poker with some neighborhood kids. Eager to join the adult world, Denn realizes that casinos and poker are a means to do exactly that. His “hobby” progresses to a habit and then to an addiction that threatens relationships with his parents, girlfriend, and best friend. Hautman explores the escalation of Denn’s gambling without preachiness, dealing with his problem in a straightforward and knowledgeable manner.